Boca Raton oral and maxillofacial surgeon, John T. Bowman, DMD, MD, provides dental implant surgery in Boca Raton. For patients who have lost an adult tooth due to an accident, sports injury, or decay, dental implants can restore the appearance and functionality of your missing tooth. A dental implant is a titanium post that is placed within the jawbone, to mimic a natural tooth’s root structure. 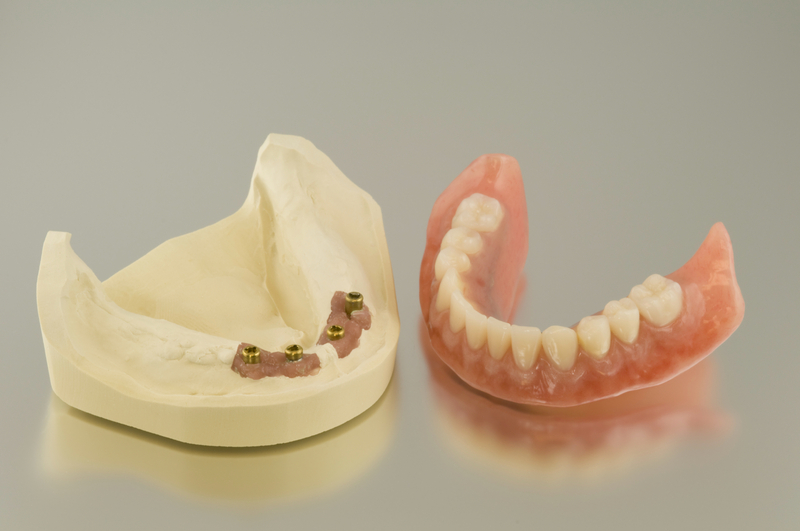 Dental crowns, bridges, or dentures are anchored to the implant, resulting in a stable, flawless restoration. Dr. Bowman has years of experiencing performing surgeries. As an MD, he specializes in patients who may have prior health issues and are thus fearful of undergoing any procedures. With a combined surgical and medical background, Dr. Bowman is well equipped to handle even the most difficult cases. Additionally, as a maxillofacial surgeon, Dr. Bowman has extensive training in understanding the nuances of the human body, a step beyond a dentist or periodontist. What does getting implants involve? When you opt for a permanent solution to your missing tooth, you will first schedule a consultation. During this consultation, Dr. Bowman will take X-rays to first determine what method of treatment would be best. Depending on your unique circumstances, bone grafting or a sinus lift may first need to be performed prior to placing an implant. Dr. Bowman will take impressions and determine how much bone, spacing, and gum tissue are available for an implant. After careful planning, implant will be surgically placed in the most optimum location and angle. The implant requires anywhere from two to six months to fully integrate with the bone. Once the implant fuses to the bone, Dr. Bowman will work with his networks of dentists to have your restoration placed. Dental implants allow a patient to resume eating the foods they love, also improving the digestion of food. An implant will prevent neighboring teeth from moving into the open space created by the missing tooth, which can eventually cause joint or bite problems. Implants stimulate cell growth within the jawbone, similar to a natural tooth. Without this stimulation the jawbone can start to recede, causing a sunken appearance of the facial tissues. Dental implants restore a patient’s confidence in their appearance, making it look and feel as though the natural tooth never went missing. Want to learn more about dental implants in Boca Raton? Dr. Bowman loves to take to patients about his work! Schedule your consultation today, or give us a call.